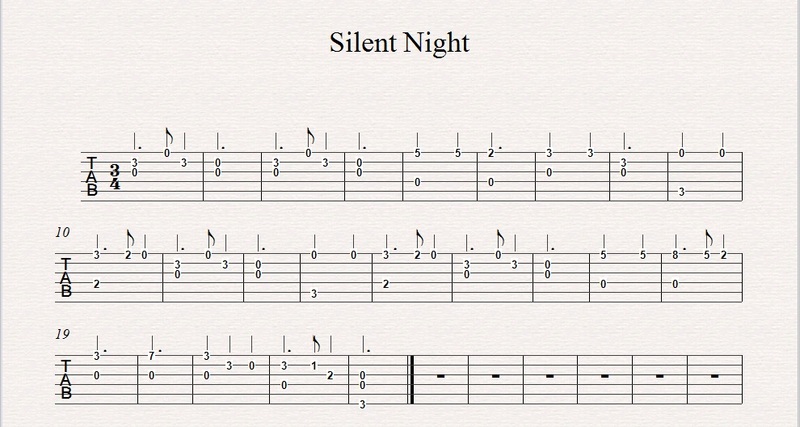 Hi everyone, I am back with a quick installment of “Silent Night” for those beginner guitarists wanting to entertain themselves over the holidays. This song is in 3/4 time (3 beats per measure) and utilizes a bass note on the first note of each measure. This song is in the key of G and the chords are simple I (G), IV (C), V (D) chords. I didn’t bother with any chord substitutions as the idea was to make this as simple as possible for a beginner to learn. Anyway, have fun and see you soon!